Back Bay Stone, located in Henniker New Hampshire, was created by Dennis Sturms in 2004 as an adjunct to his California business Bay Area Bluestone. 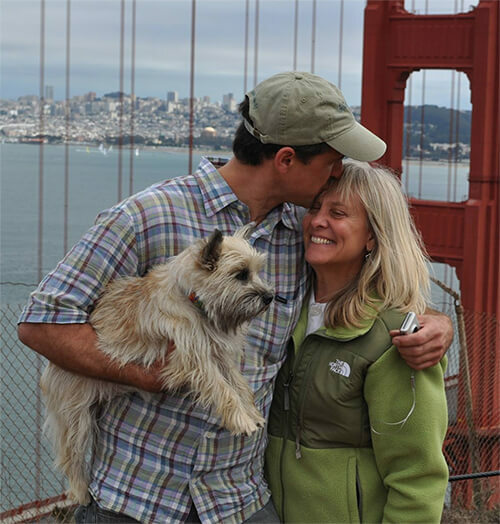 Dennis created Bay Area Bluestone with his wife Jeanne in May of 2000. Bay Area Bluestone quickly became recognized as the premier source for quality Bluestone products in the Bay Area. An East Coast native from Hopkinton, NH, Dennis visited the Pennsylvania and New York quarries regularly, establishing relationships with the vendors in the area, hand selecting materials, and determining which fabricators were most adept at processing his customer’s specialized custom cut stone orders. Dennis’ stone and masonry installation background started in San Francisco in 1986, and was the bridge that connected him to the supply side of the equation 14 years later. In 2008, Dennis and Jeanne sold Bay Area Bluestone and moved back to New Hampshire. Dennis continues to visit more than 15 bluestone providers regularly and oversees material selection and special orders for his clients in New England.